A fine Drake Long-tailed Duck was in Jackson's Bay but was unfortunately a little too distant for decent pictures, also in Jackson's Bay were 2 Red-throated Diver, 1 Cormorant, 1 Shag, 8 Oystercatcher, 6 Redshank, 2 Bar-tailed Godwit, 48 Black-headed Gull and a Rock Pipit, at Scalby Mills were 7 Cormorant, 1 Shag, 152 Wigeon, 41 Oystercatcher, 23 Redshank, 11 Turnstone, 130 Black-headed Gull, 215 Herring Gull and 28 Great Black-backed Gull, In North Bay were 3 Shag, 1 Red-throated Diver, 2 Turnstone, 1 Guillemot, 44 Black-headed Gull and a Rock Pipit, 2 Red-throated Diver, 1 Cormorant, 2 Shag, 9 Fulmar, 1 Peregrine and 4 Guillemot were round Marine Drive, 2 Red-throated Diver, 1 Cormorant, 6 Guillemot and a Razorbill were in South Bay and the Great Northern Diver, 20 Purple Sandpiper, 24 Turnstone, 2 Redshank, 175 Herring Gull, 30 Great Black-backed Gull and a Rock Pipit were in the Harbour. 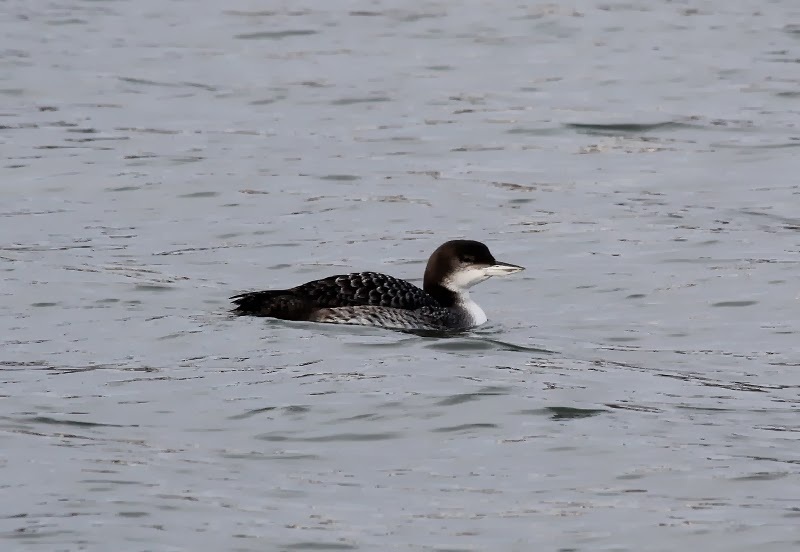 Elsewhere the Firecrest was still at Seamer Mere, a Shoveler, 2 Snipe, 1 Woodcock and 2 Barn Owl were at Seamer Tip and 250 Pink-footed Geese flew north over Stony Marl Moor and 2 Eider and a Guillemot flew north offshore. 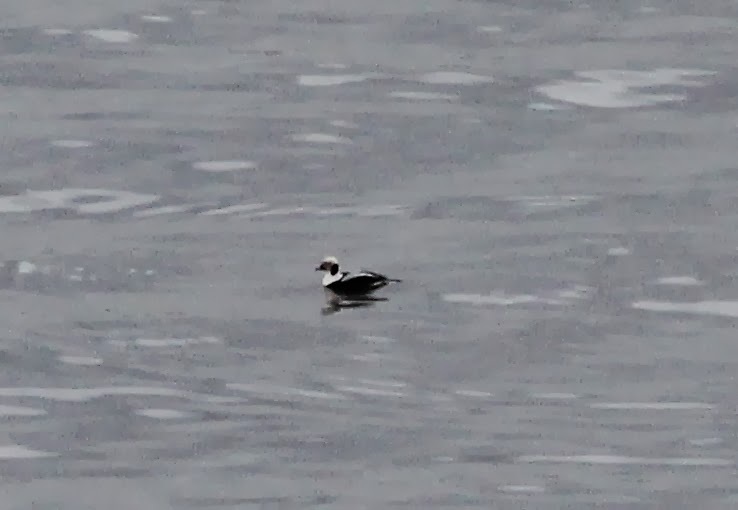 A record shot of the Long-tailed Duck - Michael McNaghten.